The pop world Parx the Writer helped construct over the past few years suits Parx the Performer just as nicely. At a Spotify listening event for Tayla Parx’s debut album, the streaming company brought out numerous plaques commemorating her milestones. One of them celebrated “3.5 billion streams” accumulated through her songwriting credits alone. “Prolific” fails to properly describe her catalog, which spans hip-hop, K-pop, and a cappella groups like Pentatonix. In more recent years, she started penning for herself, releasing solid efforts such as Tayla Made. Parx, a trained performer and songwriter, came of age amid the age of Spotify and YouTube, which slowly removed conventional barriers and allowed genre to mix more freely. Her fusion of pop hooks with hip-hop syncopation and flow displays some parallels to the conversation being had around Lil Nas X’s mixture of rap and country. Modern careers often demand versatile roles and talents, especially for millennials in the creative sector. Why would songwriting be any different? Parx, like many her age, grew up immersed in a variety of genres, and so she’s become quite adept at navigating where they overlap. We Need to Talk, a statement as assertive as it is indefinite in meaning, easily applies to a situation involving a friend or a partner. However, considering Parx’s continued presence in pop’s recent “smashes,” perhaps it addresses its listeners; arriving at last, Parx now asks you direct your attention her way. From the introductory organ-esque keyboards of “I Want You,” We Need to Talk strives to make this conversation pleasant and inviting for both parties. It marches forward on confident, melodic vocals, only to dip into a hip-pop beat at the chorus. The sun-kissed autotuning of Parx’s voice on “Homiesexual” accomplishes a similar vibe: relaxed, affable, and honest. Beneath their exuberant sound, the tracks hint at struggles with juggling the grind and other commitments. “Misery loves company,” she exhales, offering to share in its graces with you at her side. A songwriter with as many credits as she does likely experiences burnout after a while, so “don’t go feeling special” if you end up in one of her songs. The following tracks “Slow Dancing” and “Me vs. Us” further grapple with the complications of crushes and relationships. Not exactly groundbreaking topics, but Parx discusses them in a manner sonically and lyrically refreshing to the ears. 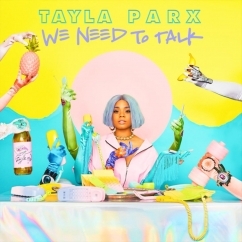 The former bops along at a SZA-like pace, part hip-hop, part soul in the verses, climbing up to a delightfully self-conscious chorus. The latter heightens the emotion by using a dramatic synth-and-guitar fueled production that recalls a Carly Rae or Tove Lo track. When it comes to fusing hip-hop and pop, Parx hits the sweet spot. It’s a talent integral to composing pieces like “Your Song” and “Like I Do”. As talented with words as she is with melody, Parx likes to fill her songs with her words, rarely letting a bass drop or instrumental take the stage from her. Because of this, Parx needs less than 40 minutes to tell her side of things. In many cases, this results in bite-sized, flavorful tracks rich in double-entendres and honest emotions. 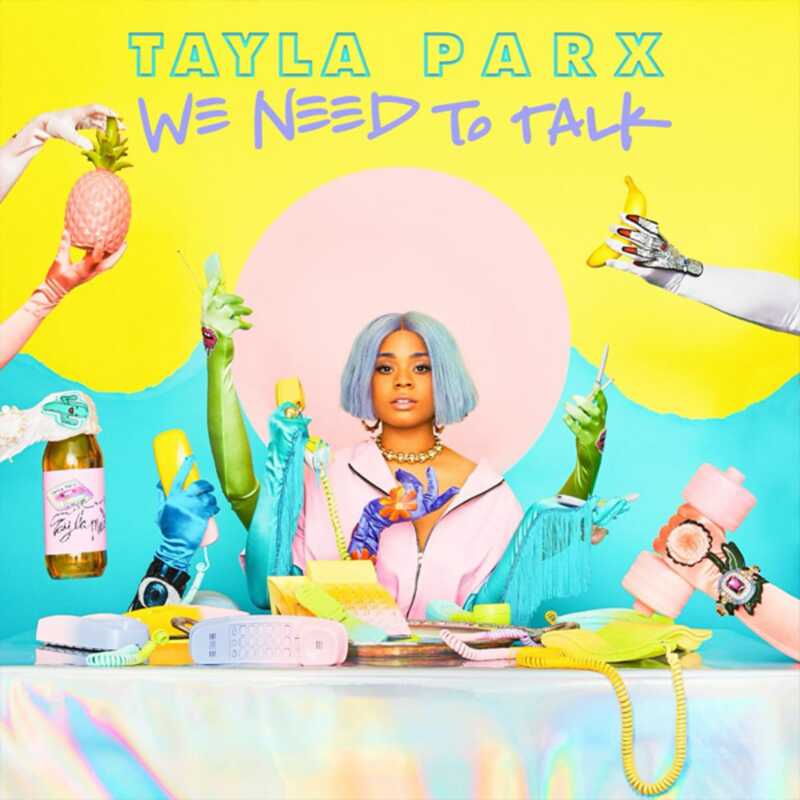 That said, a song as upbeat and fun as the title track deserves at least 40 more seconds – “Disconnected” warrants the same, especially since it only briefly allows Parx and Cautious Clay to work together. Just as you start to sway with the slight twang of “Tomboys Have Feelings Too,” it comes to a close followed by the last track. Said twang gives way to a throaty, lower register that could be a dead ringer for Miley Cyrus. Many reviews of Parx’s work draw similar comparisons to other contemporary acts and sounds. Kehlani’s collected, groovy R&B and timbre resonate on “Rebound” and “Dirt” while cuts like the excellent “Mood” off of her Tayla Made project showcase the light-as-air vocal tenancies of frequent collaborator Ariana Grande. Though her sonic shapeshifting means We Need to Talk darts a bit all over the place, at least it occupies a space grounded in the present day. The pop world Parx the Writer helped construct over the past few years suits Parx the Performer just as nicely, and she’s earned the right to fool around with it to see what fits her best.